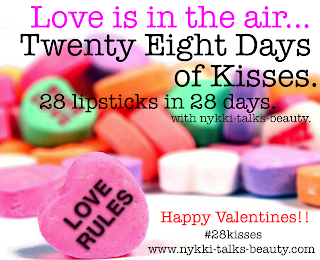 I am joining up Nykki over at Nykki Talks Beauty.. and today I am wearing no lipstick.. sad.. I know but its just been one of those days. But I am wearing some of the Burts Bees Tiger Lilly Tinted Lip Balm. I pretty much love all products from Burts Bees. These balms feel great on my lips and I really like the Tiger Lilly the best. It just brings out the natural my lip color. 3 comments on "28 Days of Kisses; Lipstick Tag - Day 4 - "
@ Sarah.. nice to meet you!